I SAID when Paul Lambert took charge at Ipswich Town that he was on a hiding to nothing. A look at the Championship table suggests I was spot on. My old club are rooted to the bottom of the league, with just one win since Paul took charge in October. I honestly fear we’re going down. But I’m not giving up hope that the manager can work a miracle and keep us up. I know it sounds daft, but Paul has managed to get something approaching a tune out of his players, despite effectively having both hands tied behind his back. 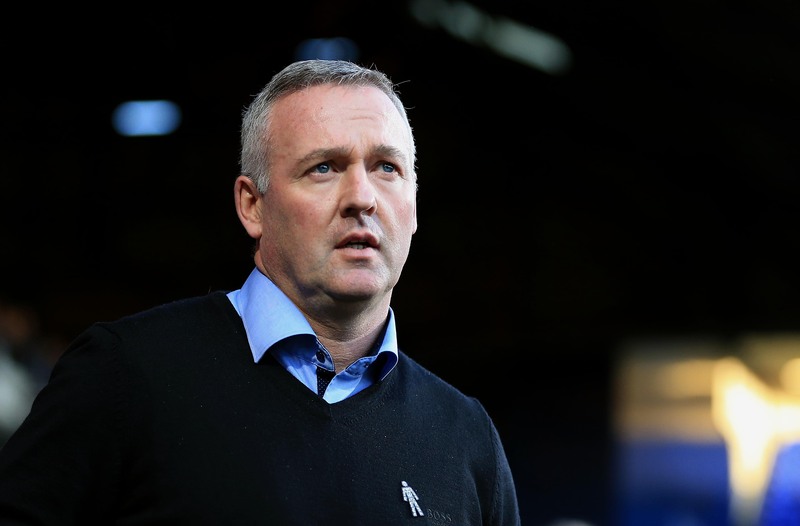 When Lambert arrived at Portman Road, I had three major fears for him. The first was that the club would not give him any money to spend. The second was that the league position was terrible. The third was that he is a former Norwich City manager. Ipswich fans know the situation with the club under owner Marcus Evans – who I think would happily sell if an offer comes along – so forgiving Paul for the lack of funds and the league position he inherited was simple enough. But the Norwich thing? That’s a biggie. The supporters will only forgive him for that if he starts winning games. On that front, the results paint a picture of doom and gloom. But I know Paul has had my old Ipswich team-mates, Johnny Wark, George Burley and Terry Butcher in to visit the training ground. Wark told me the atmosphere around the place is bubbly as hell. That’s a good sign – even if some of the younger players are struggling to understand Paul’s accent! He’s still talking in broad Glaswegian, by all accounts, and that’s something I love! He’s also a confident guy – which is why I’m not giving up hope of him leading Ipswich to safety. If he succeeds, he will have done an absolutely magnificent job. There’s no doubt about it. Things are very different these days at Portman Road compared to my time at the club. Back then, the Cobbold brothers, John and Patrick, were in charge. They were eccentric types but, by God, they ran the club well. They basically just let the manager, Sir Bobby Robson, get on with it. Bobby was in charge of everything from the first team right down to the youth academy. That simply doesn’t happen now. The current owner, Marcus Evans, has put a lot of money in over the years without getting much back. He certainly handed Roy Keane loads of dough during his time in charge – and it did no good whatsoever. These days, Evans is done with ploughing cash in to The Tractor Boys. It has left my old club lagging way behind their big rivals, with Norwich on course for promotion. That will make Ipswich’s plight even more painful for fans. Watching your team get beaten, week after week, is dreadful enough without watching your arch-enemies flying high at the top end of the table at the same time. That’s what Paul Lambert has got to contend with as my old team’s boss. Thankfully, I don’t think he’s scared of hard work.